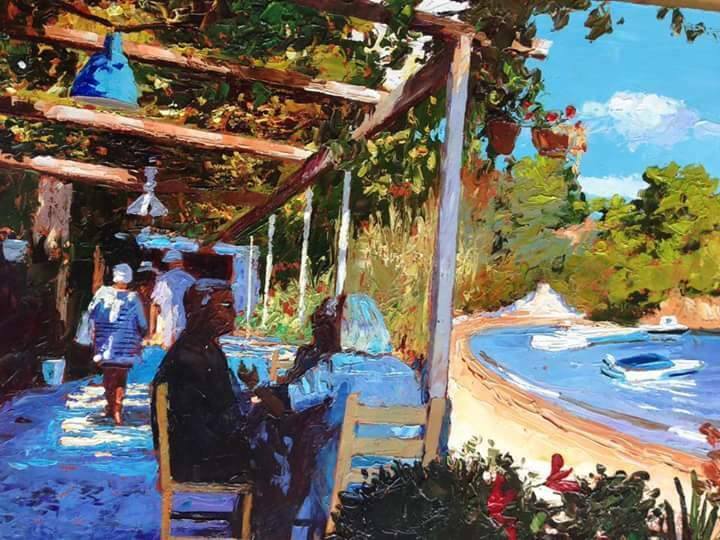 Jeremy is an experienced and accomplished artist who can demonstrate his brilliant capturing of the Mediterranean light. 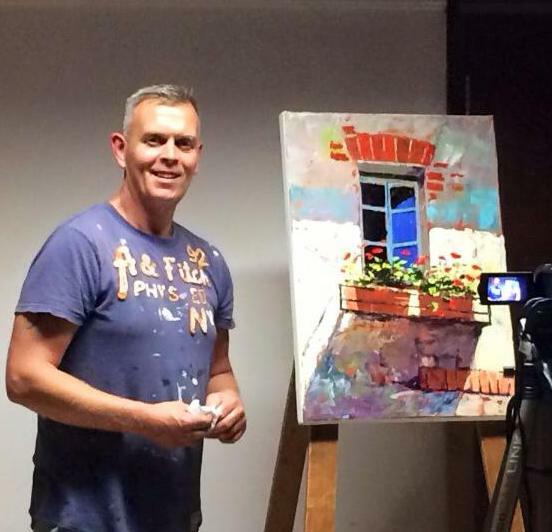 Working in oils and acrylics he depicts life as he sees it and opens his groups eyes to the vibrancy around them. The opportunity for Jeremy to lead a group on a Greek Island is so exciting for him because to deliver a demonstration in situ will be inspiring for both Jeremy and his group. My week will be mainly focused on pushing the boundaries of how we paint.....from the painting tools we use to the materials we use. We will be exploring ways of achieving finished works using locally sourced materials. I will be giving a demonstration of how I paint using credit cards with no palette knives or brushes. Withe heat of the island I also aim to work with you on acrylic pieces. Hopefully with the quick drying times, building up layered brush strokes,achieving the rich colours traditionally associated with oils. The Island of Kalymnos has a rich history as the 'Sponge Divers' Island and we will be using these for mark making.